SMU Geothermal energy expert David Blackwell gave a Capitol Hill briefing Tuesday, March 27, on the growing opportunities for geothermal energy production in the United States, calling “unconventional” geothermal techniques a potential game changer for U.S. energy policy. The combination of a strong economic growth, exceptional natural resources and a general desire to increase its energy security makes Latin America and the Caribbean an area likely to generate significant growth in the renewable energy sector. Within this index, Nicaragua ranks second behind Brazil. near Lodsburg in southwestern New Mexico. After emerging from a Chapter 11 bankruptcy reorganization, Cryq Energy is moving forward to build New Mexico’s first commercial geothermal electric “Lightning Dock” project . Officials of Hawaii county of Hawaii, USA are strengthening their sisterhood ties with Ormoc City in its effort to maximize their island’s geothermal energy potential, adopting the technologies in Leyte, an island in the Visayas group of the Philippines. In a visit this week, Hawaii county Mayor William Kenoi said the development in Leyte is also possible in their county as they move to use a 100-percent renewable energy. “We recognize the growing uncertainty surrounding our energy needs in both our countries. We have come to learn from the Philippines how to develop, expand, rely on our own natural assets and energy resources such as geothermal,” Kenoi told reporters. The BLM approved a Tungsten Mountain Geothermal Exploration Project proposed by Ormat Technologies Inc., in Edwards Creek Valley, Churchill County, approximately 60 miles east of Fallon, Nev. The proposed geothermal exploration project consists of 610 acres of public lands within the lease area. The EA analyzes potential impacts from the proposed exploration and testing activities proposed by Ormat. The primary objective of the project is to further evaluate the characteristics of the geothermal resources in the Tungsten Mountain Project Area. Hear the latest on lessons learned and best practices from experts on making renewable energy development a reality. Including Bob Sullivan of Ormat Technologies, Inc. VP of Business Development (at 45:14). Senior Senate Republicans are floating legislation that would slam the brakes on Obama administration efforts to expand regulation of the controversial drilling method called “hydraulic fracturing” on federal lands. Sen. James Inhofe (Okla.), the ranking Republican on the Environment and Public Works Committee, is the lead sponsor, and the seven other backers include Sen. Lisa Murkowski (Alaska), the top GOP member on the Energy and Natural Resources Committee. The new bill states: "A State shall have the sole authority to promulgate or enforce any regulation, guidance, or permit requirement regarding the underground injection of fluids or propping agents pursuant to the hydraulic fracturing process, or any component of that process, relating to oil, gas, or geothermal production activities on or under any land within the boundaries of the State." GeoTek of Midland, Texas, bases their system, known as the Gravity Head Energy System (GHES), on the use of gravity instead of pumps to capture energy from hot underground water in a binary system. The hot underground water still will flow to the surface in separate tubing from the heated working liquid. The water will then be reinjected in a well some distance away from the source well. The working liquid will be used to generate power, then recycled into the downhole heat exchanger. SMU Geothermal energy expert David Blackwell (also a longtime GRC member), gave a Capitol Hill briefing Tuesday, March 27, on the growing opportunities for geothermal energy production in the United States, calling "unconventional" geothermal techniques a potential game changer for U.S. energy policy. Water near glowing magma is so hot and under such high pressure that it has ten times the energy of normal geothermal sources. Can the Icelanders make use of this heat from the underworld? Krafla is in the north of Iceland. This dip in the landscape is a caldera ten kilometres wide – a geological feature like a cauldron, created when the core of a volcano collapsed in the distant past. The crater Víti is inside Krafla. Víti means “Hell” in Icelandic. In 1724 this crater erupted. Icelandic scientists have drilled a two-kilometre deep well into the crater to judge opportunities for utilising this deep geo-energy. A geothermal power plant planned in the Klamath Basin National Wildlife Refuge Complex would be the first in the U.S. to tap a new technology that can efficiently convert lower-temperature geothermal resources into electricity. The plant, which will be developed by Klamath Falls-based Entiv Organic Energy, will use technology developed through a partnership between French energy giant Technip and geothermal specialists Mannvit of Iceland. Alterra Power Corp. today provided an update on its operations and reported its financial and operating results for the six month fiscal period ended December 31, 2011. Development perspectives of this aspect were considered today by the State Council for issues of complex use of mineral resources. The heat of underground water is actively used in other countries. Belarus also has some experience in this sphere. A modern geothermal station operates near Brest. A geothermal map has been developed in the country and scientists know at which depth the waters are located and which temperature they are. Despite the high mineralization, which by the way complicates water extraction, specialists are sure that the development of geothermal energy is perspective for Belarus. Ajit Venkatraman, VP, Engineering & Operations, Simbol Materials (at 41:45), who plans to extract precious metals form geothermal brine at Hudson Ranch. 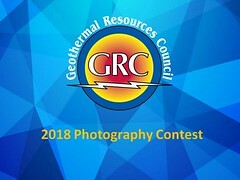 The Geothermal Resources Council is mentioned throughout the latest Geothermal Energy News, the weekly newsletter from Renewable Energy World.com. Energy Literacy: Essential Principles and Fundamental Concepts for Energy Education presents energy concepts that, if understood and applied, will help individuals and communities make informed energy decisions. Get your geothermal news from around the world on your mobile web-connected device. Wherever you are, get the latest from the geothermal community by browsing to geothermalresourcescouncil.blogspot.com/?m=1 on your smart phone, iPad, tablet or other web-enabled mobile device. Or scan the QR Code on the right with your smart phone to go directly to Global Geothermal News. Unlike many western states, Minnesota has never been considered a geothermal hotspot. According to the latest study released by UMD's Natural Resources Research Institute, however, Minnesota has a lot more geothermal potential than once thought. Panax Geothermal, based in Brisbane in Queensland, Australia, believes the restoration of Indonesia’s debt rating to investment grade shows its faith in the country’s investment potential has not being misplaced. The company plans to bring 3 geothermal power generation projects in Indonesia into production over the coming years and has plans for further investment in the region. The government of Kenya and the African Development Bank have signed agreements for financial aid for a rift valley geothermal steam field project . Kenya’s finance minister, Njeru Githae, and the African Development Bank (AfDB) regional director for East Africa, Gabriel Negatu, signed the agreements on March 12. The geothermal project will receive a $124.5-million African Development Fund loan plus a loan and grant totalling $25 million in Climate Investment Funds. The project will give a boost to the delayed development of the steam field at Menengai, 180 km west of Nairobi. The field is projected to generate up to 400 MW, which equals 20% of Kenya’s installed capacity. NICTA (National ICT Australia Ltd) has identified an oil-rich region in southwestern Victoria to validate machine-learning algorithms created under a $5 million big data project. The project, revealed by iTnews last November, aims to help geothermal exploration firms identify the characteristics of subsurface fields without having to drill them. The Geothermal Development Company (GDC) is seeking alternative power from steam sources to replace the more expensive diesel used to run its drilling rigs at the Menengai site, Nakuru. The company said Tuesday it had invited bids for the installation of an emergency five to 10 megawatt (Mw) geothermal power plant that would churn energy to used for operating the rigs. “The geothermal modular power plant to be installed at the Menengai geothermal field and commissioned within the shortest time possible so as to reduce the high cost associated with drilling using diesel,” the company said in a tender that closes on May 2. The Obama administration proposed on Tuesday the first ever standards to cut carbon dioxide emissions from new power plants, a move likely to be hotly contested by Republicans and industry in an election year. The Environmental Protection Agency proposed the long-delayed rules that limit emissions from all new U.S. power stations, which would effectively bar the building of any new coal plants. Torrens Energy of Perth, Australia, has announced that Dennis Gee and John Canaris will be resigning as directors of the company, a move designed to appease one of its major shareholders – Deck Chair Holdings. The company also said that Winton Willesee will come on board as a director, while Anthony Wooles, who only joined the board last month, will now serve as chairman. Australian company Petratherm has started the first phase of a large magnetotelluric survey on the Island of Tenerife, Canary Islands, to determine if the target clay cap is suitable for geothermal drilling and development. The current phase consists of reconnaissance traverses that will map the clay cap from the central volcanic cone to the lower coastal areas. Japan has revised rules for geothermal power projects in national parks, where more than 80 percent of the nation’s resources lie, as it seeks to increase the amount of energy that originates from cleaner sources. The Ministry of Environment has expanded areas where developers may conduct surveys and build geothermal power plants in national parks, it said in a statement today. Enel Green Power (EGP) has been awarded three geothermal exploration concessions in Chile. The tender was launched in June, 2010 by the Ministry of Energy. The first concession is named "Colorado", with 16,800 hectares in the region of Antofagasta, 1,000 km north of Santiago. The second concession is known as "San José I", which covers 74,801 hectares located in the metropolitan area about 50 km east of Santiago, whereas the third one is called "Yeguas Muertas ", with 74,101 hectares situated between the Metropolitan and the O'Higgins regions, 70 km southeast of Santiago, 20 km east of El Teniente mine and 40 Km from Rancagua. Ram Power Corp., has signed a letter of intent (LOI) with SNC-Lavalin Constructors Inc. for the construction of the 26 MW geothermal power plant at the Geysers steamfield in Northern California. Under the terms of the letter of intent, SNC-Lavalin will engineer, design, and procure parts and equipment for the construction and commissioning of the Geysers Project. At the conclusion of the LOI period, scheduled for May 2012, the Ram Power plans to execute a definitive contract with SNC for the engineering, procurement and construction of the Geysers Project. The volcanic mountain range of los Maribios could potentially generate more than the 1,500 megawatts for the country. Studies by the Ministry of Energy and Mines (MEM) estimate that the volcanoes of the Los Maribios range, along the Pacific area, could give the country a generation potential of more than the 1,500 megawatts in 12 areas or geothermal fields, a capability that could liberate Nicaragua from dependence on oil as a source of electricity. Mighty River Power, the New Zealand state owned energy company which is expected to be floated later this year, has reported a 9 % increase in its first half profits and increased its profit guidance for the full year. Registration is now open for the Geothermal Energy Association’s fourth annual International Geothermal Energy Showcase. The event, to be held on May 23 at the Ronald Reagan Building & International Trade Center in Washington, D.C., will be hosted by the Geothermal Energy Association in alliance with the U.S. Trade and Development Agency, U.S. Department of Energy, and the Export-Import Bank of the United States. More than 200 industry leaders, government officials, and other power sector representatives from the United States and abroad are expected to attend. The first radial outflow turbine working in an ORC (organic Rankine cycle) plant has been put in operation by Exergy in Verbania (Italy). The plant – including the innovative turbine -, rated 1000 kWe, have been entirely designed and manufactured by Exergy, and fed on this test bed by a heat source which simulates the conditions of a medium-high temperature heat recovery, typical application of an ORC machine. A $42 million investment in a new on shore drilling rig keeps Taupō, New Zealand -based Company MB Century at the forefront of their industry. The new hydraulic hoist rig, under construction in Italy, is quieter, safer, smaller and more mobile than existing rigs in the company’s extensive suite of drilling equipment. Ram Power, Corp. has announced the signing of a mandate letter with the International Finance Corporation ("IFC"), a member of the World Bank Group, for the financing of a binary unit at the Company's San Jacinto-Tizate Project near Leon, Nicaragua. Media are invited to a lunchtime Washington D.C. Capitol Hill event on Tuesday, March 27. Discover magazine, the National Science Foundation, IEEE and ASME cordially invite you to attend a 90-minute lunchtime panel discussion on March 27 to discuss geothermal energy as a part of America's energy supply. The honorary host for the event, "Road to the New Energy Economy: Geothermal Energy," is Senate Majority Leader Harry Reid. Dan Lubar, government liaison for IEEE--the Institute of Electrical and Electronics Engineers--moderates. Nevada’s Center for Entrepreneurship and Technology (NCET) has given it's Green Company of the Year award to the Peppermill Resort Spa Casino, home of the 2012 GRC Annual Meeting & GEA Expo. The Peppermill Resort Spa Casino has adopted sweeping green initiatives to dramatically reduce the Resort’s carbon footprint, and the entire Resort is now on-line to heat both space and domestic water with geothermal energy. In the video, Peppermill Director of Facilities, Dean Parker accepted the award and gave a great shout-out to geothermal. "In my opinion Geothermal is one of the greatest renewable energies known to mankind." Engineering Director, Jimmy Oaks said the hotel has saved over $3.5 Million a year in energy costs. The GRC Annual Meeting is from September 30 - October 3, 2012 at the Peppermill Resort Spa, Reno, Nevada, USA. Tours of the hotel geothermal facilities will be included in a packed schedule. Video: With access to both geothermal and hydroelectric energy and a suitable climate for cooling, a carbon-neutral data center is providing data services from an old NATO base in Iceland. The facility was officially opened in February by Verne Global, but could be the first of many such centers to take advantage of Iceland’s unique environment. An Icelandic company is teaming with Reykjavik’s municipal waste authority to make a renewable fuel additive that would improve the efficiency of gasoline-powered vehicles. Reykjavik based Carbon Recycling International and the city’s waste agency, SORPA, have launched a feasibility study and hope to operate a plant by 2015 making renewable methanol from household waste that normally goes to landfill. 1Malaysia Development Bhd and General Electric are among three companies currently in talks to develop the country's first geothermal plant in Apas, Tawau. The third company in the venture, tagged at between RM750mil and RM800mil, is a Sabah-based green energy company which has inked a power purchase agreement with Sabah Electricity Sdn Bhd. Sources familiar with the project told StarBiz that the companies were in the final stage of negotiations and expected to reach a joint agreement soon, possibly end of the month. Japanese firms are looking at building several geothermal plants in a volcanic zone in the area worst hit by last year's nuclear disaster, a project that could gain momentum after the government eased restrictions on drilling this week. The head of a group of firms that have studied the potential of a geothermal project in Fukushima said on Friday a consortium of about 10 companies would meet local people by early May to explain their plans to build plants with a total capacity of 270 megawatts, which would be Japan's biggest. 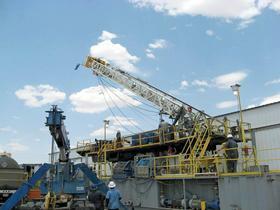 Drilling could begin next year on test wells for a geothermal energy project on Haleakala. Ormat Technologies Inc. filed an environmental impact statement preparation notice with the Board of Land and Natural Resources last month, signaling its intention to go ahead with the project it announced in 2011. If the study finds no significant environmental or cultural impact for the project, land board members could then move forward with granting Ormat a mining lease and "geothermal resource subzone modification application." The Geothermal Resources Council (GRC) and the California Geothermal Energy Collaborative (CGEC) will hold a two-day geothermal workshop to be held at the University of California, Davis, on July 19-20, 2012. Titled “Recent Advances in Geothermal Geochemistry”, the workshop will interest professionals in the geothermal industry and graduate students interested in geothermal systems. El Tatio geyser field, a tourist destination in the northern Chilean region of Antofagasta, is at the heart of a controversy over a geothermal energy project being developed four kilometres away. The entire area is claimed by Atacama indigenous communities, who now stand divided. "For us, the geysers are the fountain of life," Julio Ramos, president of the Council of Lickan Antay-Atacameño Peoples, an umbrella group of 25 communities, told the reporter. Peter Reid, Exploration Manager, Petratherm. Peter Reid is a geologist and the founder of geothermal energy company Petratherm. In 2003, in close conjunction with researchers from the University of Adelaide, Peter began investigating Australia’s engineered geothermal energy potential. The result of this work led to the establishment of Petratherm. Peter is also the current Chairman of the Australian Geothermal Code Committee (AGCC). He recently received the Chairman’s Award at the 2011 Australian Geothermal Energy Conference for his services to the geothermal industry. The Japanese Ministry of the Environment decided to loosen regulations on geothermal power equipment in national parks on March 21, allowing vertical drilling if certain conditions are met. Until now, only diagonal drilling from outside of protected zones in parks was allowed, but the new regulations will allow drilling inside those zones if conditions are met. The new regulations will be announced to local governments within the month. The region may be the best resource—and best-kept secret—in the geothermal sector. The EnergySource 49.9-megawatt Hudson Ranch I geothermal plant went on-line in the Salton Sea geothermal field on March 9. It is the first in that field to come on-line in twenty years. The Salton Sea known geothermal resource area (KGRA), EnergySource President and CEO Dave Watson said, has a total economically recoverable geothermal resource potential of between 1,400 and 2,000 megawatts. It has a developed capacity of just under 330 megawatts. The second stage would see the deployment of large-scale geothermal energy from Petratherm’s ongoing South Australian Paralana project, supplemented by solar. Geothermal developer Petratherm hopes to enlist the help of “excellent” wind, solar and geothermal resources to create a clean multi-energy option for the power-hungry mines of S. Australia. "We will explore financing opportunities for geothermal power generation considering its significant potential in the region." The Inter-American Development Bank is ramping up its investments in private sector renewable energy and energy efficiency projects in Latin America and the Caribbean. At the bank's annual meeting in Montevideo, which concluded Monday, bank officials said that for 2012, the bank expects to approve more than $700 million in long-term financing for private sector renewable energy projects, particularly wind, solar, hydropower and geothermal plants. 3% Loans for GHP & Direct Use Systems! The second international exhibition for renewable and decentralized energy solutions (Enerexpo Vietnam 2012) will take place in Hanoi on March 21-23. Future projects in Vietnam include construction of a geothermal plant in the Mo Du District/Quang Ngai Province, with 21 MW capacity, a total investment of US$ 39 million. The first hybrid power plant in the world that combines the continuous generation capacity of binary-cycle, medium-enthalpy geothermal power with the peak capacity of solar power, has now risen to 26 MW. Enel Green Power, the Enel Group's renewables company, operating in North America through its subsidiary Enel Green Power North America, has expanded the capacity of the Stillwater solar power plant connected to the binary-cycle geothermal power plant. This has increased the grid-connected photovoltaic power capacity of this innovative plant located in Churchill County, Nevada from 24 MW to 26 MW. The plant also has a geothermal capacity of 33 MW. The contribution of renewable energy sources to total annual electricity generation increased to 77 per cent in 2011 from 74 per cent in 2010, Energy and Resources Minister Phil Heatley announced today. “This is another positive step towards the Government’s goal of 90 per cent renewable generation by 2025,” Mr Heatley said. Wind generation increased to 4.5 per cent total generation in 2011, and geothermal generation increased to 13.4 per cent of total generation. The investment future is bright for the US biofuels sector, but the geothermal industry will continue to struggle, according to financiers. Geothermal projects are hampered by drilling costs and the distance between project sites and demand centres, which makes the projects uncompetitive with other energy sources, said Michael Carter, the Denver, Colorado-based director of the energy group for analysis firm SNL Energy. The surreal inland lake known as the Salton Sea, which sits below sea level in a desert east of San Diego, is mainly known as an ecological disaster born of failed water engineering schemes and massive fertilizer runoff. But the region is now emerging as a key location for a venerable but unsung technology that could be crucial to California's ambitious renewable energy plans: geothermal power. Bronicki Investments, owner of the controlling block of shares in Ormat Industries, finalized the sale of 11.8% of the alternative energy company's capital stock to FIMI Opportunity Fund on Friday. The price: NIS 297 million at NIS 21.67 per share. The price is 28% over the end-of-week trading price, but the premium doesn't reflect all the ins and outs involved in the transaction. 2012 at Ball State University. Ball State University this week will dedicate what the National Wildlife Federation calls a revolutionary large-scale geothermal energy system that taps the earth for clean, efficient heating and cooling. The first phase of Ball State's $45 million geothermal heat pump system is now fully operational, and construction on phase 2 has already begun. When fully implemented, the project will allow the university to shut down its aging coal-fired boilers, saving $2 million a year in operating costs and cutting BSU's carbon footprint nearly in half. Key projects are under way at The Geysers to upgrade existing facilities, test new Enhanced Geothermal System (EGS) technology and to study the effectiveness of injecting treated wastewater to fracture ultra-hot rock and stimulate greater steam production. Progress also continues toward the potential addition of two new geothermal power plants. Over the longer-term, the favoured form of renewable energy is geothermal, where potential is believed to be considerable. Kenya's power sector continues to introduce a more diversified energy-generation capability according to a new report from Research and Markets. Although hydropower generation remains vulnerable to drought and variations in rainfall, additional hydro facilities are being developed in order to reduce the country's dependence on costly oil-fired capacity. Over the longer-term, the favoured form of renewable energy is geothermal, where potential is believed to be considerable. Meanwhile, coal-based generating schemes should provide medium-term electricity supply. Nearly two-thirds of the oil we use comes from wells drilled using polycrystalline diamond compact (PDC) bits, originally developed nearly 30 years ago to lower the cost of geothermal drilling. Sandia and the U.S. Navy recently brought the technology fullcircle, showing how geothermal drillers might use the original PDC technology, incorporating decades of subsequent improvements by the oil and gas industry. Sandia and the Navy’s Geothermal Program Office (USN GPO) conducted the Phase One demonstration tests as part of a geothermal resources evaluation at the Chocolate Mountains Aerial Gunnery Range in Imperial Valley, Calif.
James Faulds will become the new State Geologist and Director of the Nevada Bureau of Mines and Geology at the University of Nevada, Reno, replacing Jonathan Price when Price retires at the end of June. He is a long-time member of the Geothermal Resources Council (GRC). Faulds has been with the bureau of mines and geology since 1997 and has done expansive research within the prestigious program. “I hope to serve the citizens of Nevada by providing them with the best possible geological survey while also continuing our role as a premier research department at the University,” Faulds said. The NBMG is a public service department of the University’s College of Science. West Virginia’s first Geothermal Energy Conference will take place at the Flatwoods Conference Center in Flatwoods, W.Va., on May 22. Marshall University’s Center for Business and Economic Research and Center for Environmental, Geotechnical and Applied Sciences will play host to the event alongside the West Virginia Division of Energy and the West Virginia Geological and Economic Survey. Fabbrica Impianti Macchine Industriali (FIMI) of Viganò, Italy has paid $79.6m to seal a deal in which the company will buy 11.7 per cent of Bronicki Investments’ (BIL) interest in the geothermal company Ormat Technologies. Ormat Technologies is part of a larger company called Ormat Industries, of which BIL is the controlling shareholder. The Costa Rican Electricity Institute (ICE) is conducting the necessary studies to determine the feasibility of a new 50 MW geothermal plant called Pailas II. The ICE is considering the installation of a new geothermal plant in the foothills of the Rincon de la Vieja volcano. It´s not the first geothermal plant in that area. The plant Pailas I opened in in the middle of 2011. At the fifth annual Imperial Valley Renewable Energy Summit & Expo on Wednesday, attendees heard from developers about the economic promises of renewable energy. The first presentation came from Vincent Signorotti from Energy Source LLC. In less than two years the geothermal plant Hudson Ranch 1 went from construction to operation and created 55 full-time jobs, Signorotti said. In addition the plant was built by PMC, a local contractor and that created more than 200 jobs, he said. The Imperial Valley Economic Development Corporation held a press conference at the Barbara Worth Resort on Monday evening to preview their 6th annual Renewable Energy Summit. Mr. Tim Kelley the IVEDC, CEO addressed the media and some of the developers by announcing that the Hudson Ranch Power I geothermal power plant is now supplying power to the local grid. Mr. Tim Kelley the IVEDC, CEO addressed the media and some of the developers by announcing that the Hudson Ranch Power I geothermal power plant started operating on Friday March 9th at noon. The Hudson Ranch Power plant (a $350,000,000 project) created 350 jobs during the construction process and used a contractor from Holtville, Performance Mechanical Contractors, (PMC). Mr. Kelley also gave a brief update of all of the other projects that have been constructed or about to begin construction. The GRC is attending the 2012 Imperial Valley Renewable Energy Summit & Expo this week. Sponsored by the Imperial Valley Economic Development Corporation, the event is being held at the Barbara Worth Resort & Country Club. Opening speaker today at 9:30 am is Jonathan Weisgall, VP, Legislative & Regulatory Affairs, MidAmerican Holdings Co. He is Vice President for Legislative and Regulatory Affairs for MidAmerican Energy Holdings Company, a subsidiary of Berkshire Hathaway. He also serves as chairman of the board of directors of the Center for Energy Efficiency and Renewable Technologies (CEERT) and chairman of the Geothermal Energy Association. Greater acceptance of geothermal development among Native Hawaiians and other community members will allow the renewable resource to play a significant role in the state's transition to clean energy, government and private-sector officials say. Developers have shown a strong interest in building geothermal projects on Hawaii island and Maui, where electrical utilities have plans to buy up to 100 megawatts of electricity from independent power producers. One hundred megawatts is enough to power 65,000 homes. Nevada Geothermal Power Inc. (NGP) and Ormat Nevada Inc. (NYSE-ORA) are pleased to update drilling and development progress on the Crump Geothermal Project located in Lake County, Oregon. The work is conducted through Crump Geothermal Company LLC (CGC), a holding company owned 50:50 by Ormat Inc. and Nevada Geothermal Power Company with funding provided by Ormat. Experts from the renewable energy industry were given a tour of Imperial Valley renewable energy sites today as part of the Imperial Valley Renewable Energy Summit & Expo. Among the highlights of the bus-trip was the Hudson Ranch I geothermal power plant, online since noon last Friday, and the Simbol Materials site next door that will extract Lithium and other valuable metals from geothermal brine. The attendees also saw extensive solar arrays (one was even providing shade for a feed lot), new power lines and extensive agricultural cultivation enabled by renewable energy.